3. 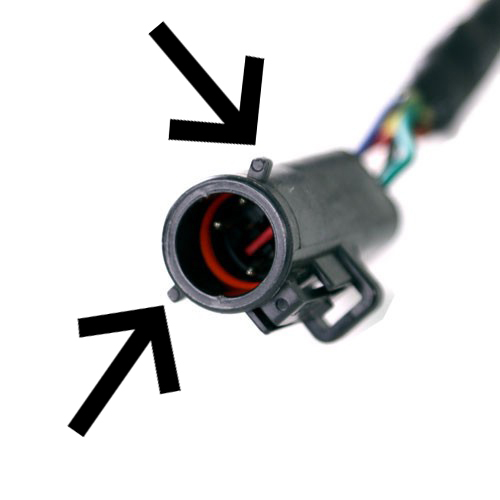 Unplug the harness on each of the rear oxygen sensors, located after the catalytic converters on your H Pipe or X Pipe. Important Note: Depending on your model year Mustang, you may need to trim off the outer tabs on the harness for them to fit correctly. This can be done with a file, knife or cutters.